Six tribes of Northwest Native Indians created their own specific artwork in the form of Totem Poles. 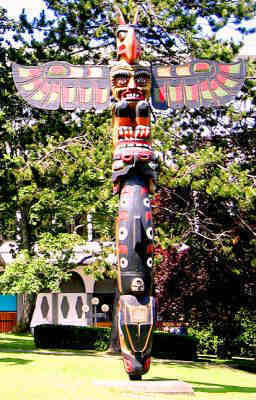 Totem Pole Art is a traditional form of tree art encompassing wood carving and painting. 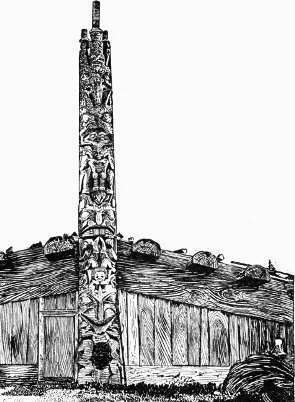 Totem pole art consists of pictorial and graphic carvings that are made into trees by using sharp thin knife blades to carve into soft bark depicting symbols and figures such as animals, that represented the emblems of clans or families. The carvings are often painted. Unlike Rock Art, Totem Pole Art has a relatively short life span, lasting for about 100 years. Depending on the skill of the artist creating the Totem Pole Art, the images can remain clear or quickly become distorted and blurred during the ageing process.